Software Company in Melbourne is proud to welcome Joana López Castrillo as the newest addition to their management team. Joana will assume the role of Regional Manager for the state of Victoria, overseeing the administrative responsibilities and business expansion goals of Anahata. We feel very fortunate to have Joana on board. Customer focus is our main delivery value and Joana is a perfect balance of business process management experience and a deeply empathetic personality. Joana brings with her five years of valuable experience including stints at Geidi as a QA Analyst where she worked towards providing wide-ranging IT solutions for small, medium and large-scale enterprises as well as Price Waterhouse Coopers PWC as an ICT Business Analyst involving the development of business solutions for clients. She gained valuable skills at FORBRASS S.A. as an Intern where she monitored the performance of the production and planning departments as well as oversight in the production cycle including customers and suppliers analysis. This new addition to the management of Anahata is set to enhance service delivery in the Melbourne area by ensuring the efficient running of operations and customer support through the improvement of operations within the company. Anahata is poised to revamp its service delivery under the stewardship of Joana because of the valuable input that she will have in developing Business Process solutions for clients within the market. This is bound to boost sales while increasing the client base within Melbourne and the surrounding area. Pablo Rodriguez Pina, co-founder and director of the software group was notably enthusiastic during the announcement. We feel very fortunate to have Joana on board. 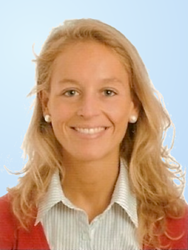 Customer focus is our main delivery value and Joana combines technical experience in business process management with a very empathetic personality. Anahata has a wide range of ICT solutions that improve the efficacy of its clients’ business operations that guarantee cost reduction and increased profit margins. Founded in 2010 by Robert Nagajek and Pablo Rodriguez Pina, Anahata Technologies Pty Ltd is an Australian privately owned software company specializing in the analysis, design, implementation and support of cost-effective, custom built software applications. Since 2013, Anahata Technologies offers software development and consultancy services in Melbourne (Victoria). In May that year, Joana Lopez Castrillo was anointed Regional Manager for Victoria. Anahata offers its customers a three-month warranty and support period where users can have unlimited phone or email consultation. Customers can access an online task and issue management system to log requests for enhancements (RFEs) or report any defects encountered during the testing or production stages. Anahata seeks to be the most customers centric of all software companies in Melbourne. Anahata’s preferred technological choice is to deliver cross-platform solutions based on open standards and open source technology that ensure stability, compatibility, and security over a long application lifespan and reduces upfront and ongoing licensing fees. Anahata partners with a number of companies to deliver integrated turn key solutions including hosting, infrastructure, barcode printing, mobility and RFID scanning amongst other technologies. As a cross-platform software vendor, Anahata can deliver solutions for the Mac platform and integrate with existing Mac Applications. The [Perth Software Company] http://www.anahata-it.com.au is experienced in developing Patient Record Management Systems running on the Mac Platform and integrating with medical applications such as Genie. For more information about Anahata, visit our website or type Software Company Melbourne or Software Development Melbourne in your favourite search engine.